I hear that Formby Labour members voted for a 2nd Referendum recently. Not sure how comfortable or indeed uncomfortable that will make Sefton Central Labour MP Bill Esterson. I also understand that at a meeting in Aintree on 15th February that the Constituency Labour Party will be debating a similar motion. I’ve been trying to find out what the MP’s views on Brexit are but 5 e-mails to his office have so far not brought back any answers. I’m guessing that as the MP is a Shadow Minister in Corbyn’s team that he will be compelled to take his lead from his leader and we all know that Corbyn is a committed Brexiteer. It will therefore be interesting to see what the CLP does. Does it follow the lead of its Formby members and call for a Peoples Vote thereby potentially putting its own MP in an embarrassing position or does it play it safe and back a Corbyn Brexit? I imagine that such issues are live across the CLP’s throughout the UK with Labour being so split over Brexit. Having a Brexit leadership in the House of Commons but a membership which is vastly Remain by conviction must be a tough if not impossible square to circle. When the Lib Dems started calling for a 2nd Referendum on the final deal, with an option to Remain, now quite some time ago, it then looked like the campaign would be just a Liberal one. How things change with many prominent Labour, Green and SNP members and MP’s joining what is now a genuine cross-party movement. Why even some prominent Tories are backing a Peoples Vote. Brexit is the biggest political issue of our times and it is tearing our two big political parties apart, so when push comes to shove which side of the fence will the Sefton Central Labour MP be on? When does protest become unacceptable abuse? That Anna Soubry is called a fascist is bizarre especially as those who so label her are often of the far right themselves. I’m no Conservative but you have to respect Anna for standing up to the ridiculous people who are presently running the UK; I admire her as I do the small number of Labour MP’s who are speaking out against their similarly ridiculous party leadership. Should the Met Police intervene when MP’s and others are being unreasonably abused? Well, firstly the Met will be considering its own reputation before doing the decent/right thing. Secondly, the taunters will probably want to be arrested so they can claim that their freedom of speech is being infringed/stopped. Thirdly, freedom of speech is vital in our admittedly crumbling democracy where lies are traded as everyday facts these days. Do I want to shout abuse at Brexiters, yes I do! Will I do it? Well, I try to choose my words carefully on this blog and face to face I generally do not engage with Brexiteers because you can’t have logical arguments with folk who base their views on prejudices whilst also ignoring facts. Abuse is often a difficult thing to define though. I’ll give you an example – I was once called a useless bucket of tripe in my time as leader of Sefton Council. I thought it was the funniest thing I had heard in years yet many others around me were horrified by it and the context it was used. So is calling Anna Soubry a Nazi legitimate protest or abuse? Well, I guess the reason for those saying it will be associated with trying to gain media attention and they succeeded in that. Anna seemed to laugh it off though as it was clearly a ridiculous thing to say. The Police will have to act though if the behaviour of protestors is felt to be abusive and threatening by those on the receiving end of it but having seen a senior Met officer being interviewed today you can tell how they would rather just be referees not using yellow cards never mind red ones. Tough calls and extreme Brexiters will defend their own come what may I guess. The balance will tip when the seemingly ‘acceptable’ behaviour attracts the absolute nutters who will go too far. Freedom of expression and protest comes with it responsibilities…………….. Interesting that Remain protesters behave reasonably….. The recent bizarre twists and turns of UK politics, as far as the two largest parties are concerned, seem to have brought us to a situation where on the biggest issue of a generation (Brexit) each party leadership is at odds with its own members and supporters. Both leaderships plough on regardless hoping and praying that the loyalty of their members and supporters will pull them through. Both, of course, have their core vote which will back the party no matter what it stands for; such is party political tribalism. Labour also has the advantage, which The Tories don’t, of the cultish supporters of Corbyn who will back and defend him whatever. The Tories are far more ruthless and will stab their leader in the back without a care when they have outlived their usefulness. So what’s going to give? The Tory leadership is now openly blackmailing Tory MP’s to support May’s Brexit Deal (which many of them hate with a passion) or face a no deal Brexit which they will carry the can for. Corbyn, on the other hand, can try to sit tight and hope that he can help push a Brexit deal through whilst blaming the Tories for it being a bad deal. Trouble is by a big margin his MP’s are Remainers, but Corbyn has them over the barrel of deselection if they defy him as many Labour constituency parties are in the hands of his Momentum entryists. That’s why of course we are seeing the vast majority of social democrat Labour MP’s keeping their heads down. Where’s smart money being placed on the outcome? One plausible scenario looks like this – May’s deal will get through after a big fight and much manoeuvring of the deckchairs on HMS UK Titanic, possibly by enough Labour MP’s abstaining for it to scrape through. Jobs will be lost, investment in the UK will fall, the NHS will struggle to gain the desperately needed investment and the Tories will win the next election. We will be on our way to being a tax haven with very poor (yes even worse than today) public services and the manipulative rich and powerful will have won the day. Of course, another scenario ends up with a Peoples Vote and we put a stop to all this isolationist nonsense which has gripped the UK for the past few years. We could even put the racists back in their box and return to being a caring country that is welcome across the world rather than being seen as a laughing stock. 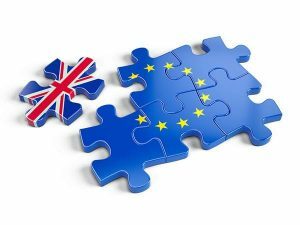 Brexit – If you voted for these things to happen, Why? I think we’ve all got to the stage now, whichever way we voted in that fateful referendum, that the £350M to be invested in the NHS (per week) was a big fat lie and of course there were other porkies too. But ignoring those lies and even putting to one side the alleged ‘project fear’ issues it has to be said that some Brexiteers really do want Brexit at any cost to their community, country, livelihoods etc. Still happy to ‘Leave’? Well, you may be but I’d be highly surprised if you could get 52% of those who would go out and vote in a 2nd referendum to stand with you! Just what the Brexiteers ordered, or is it? – Job losses! So Teresa and her Brexit buddy Jez, the Brexit enabler, continue to drive the UK over the edge to fulfil their joint desire to force a Brexit upon us that the electorate no longer supports. No big benefits of leaving the EU (there never were any), plenty of job losses (are you listening no job loss Corbyn?) and all this misery just to help the Tory Party deal with its internal difficulties. No wonder that folks on Merseyside are backing a Peoples Vote to put an end to this gross stupidity. 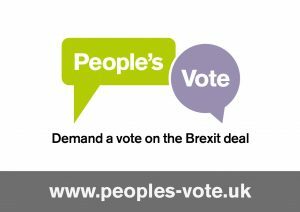 And it’s time for more of our local MP’s to come out from behind their Brexit Sofas and make it clear that they will back a Peoples Vote.